It is with great pleasure that we announce a series of concerts by Miloš Karadaglić, performing solo and with Ensemble 7 beginning on Tuesday 18 September 2018 at Cadogan Hall, London. 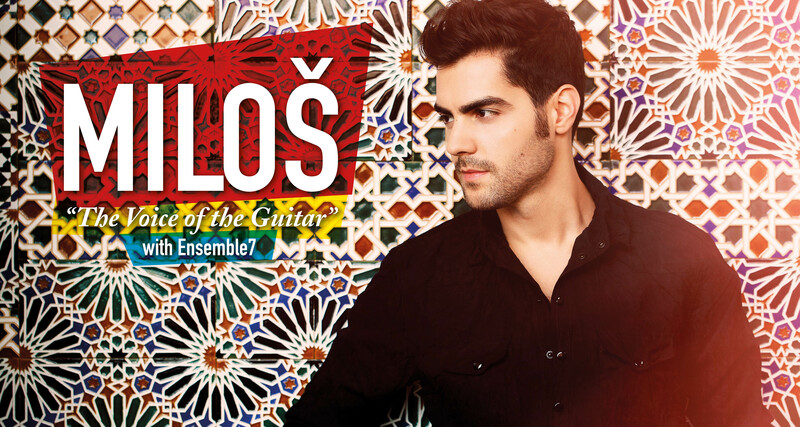 The programme, with the title Miloš: The Voice of the Guitar features music by Bach, Boccherini, Granados, Villa-Lobos and the Beatles. The tour continues to Guildford, Cheltenham and Swansea. Miloš will give a performance at the Esplanade Concert Hall in Singapore on Thursday 11 October 2018, before commencing his tour of South Korea from 20–28 October 2018. He returns to the UK with a performance at the Warwick Arts Centre on Wednesday 7 November 2018. For full details, see International Concert Diary. 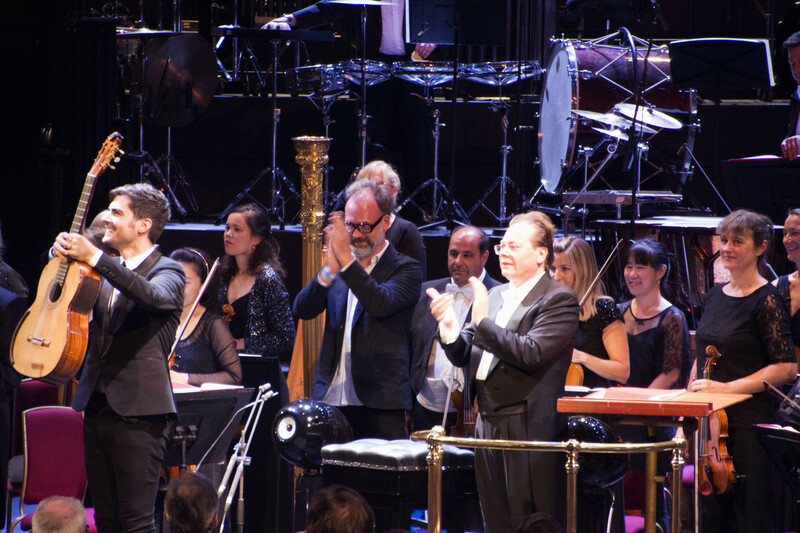 On 2 August 2018, Miloš Karadaglić premièred the guitar concerto Ink Dark Moon by the British composer Joby Talbot during the BBC Proms season at the Royal Albert Hall in London. The title of the concerto comes from medieval Japanese love poetry. Ink Dark Moon has three movements – Andante espansivo, Allegro energetic; Largo flessible; and Allegro meccanico, Presto vigoroso – which are to be played without a break. The guitar part of this 25-minute work was demanding but Miloš drove the spirit of this exciting new concerto with his energetic and expressive musicianship. It left me speechless and I was determined to find a way to work with him. His talent for extraordinary drama felt like a perfect match for the subtle but capricious nature of the guitar – and for my own style as a player. 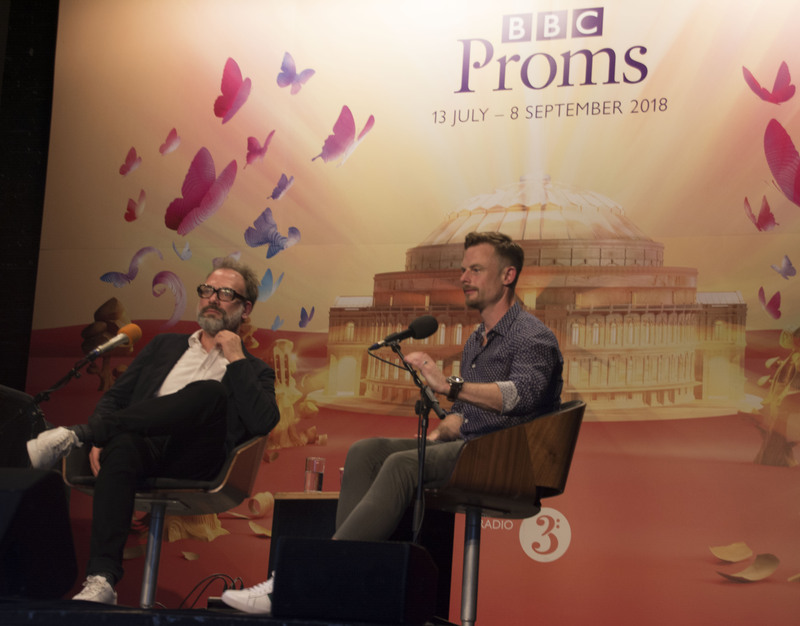 Joby Talbot introduces his Ink Dark Moon for guitar and orchestra in this pre-performance Proms Plus interview with Andrew McGregor and Christopher Wheeldon on BBC Radio 3: Watch/Listen Again. Since 2016, Miloš has had to have a break from playing due to a hand injury. It all seems to be behind him now, with the major performance at the Royal Albert Hall and now tours in the United Kingdom and Asia.